Shredmaster shredders come in every size you need. Personal Shredders for deskside convenience and home use, Office Shredders for department and company needs, and Production Shredders that provide the ultimate in productivity. These powerful personal paper shredders are ideal for heavy individual use. Their unique design fits easily next to a desk or in any narrow space. These shredders offer higher productivity than personal shredders. They are ideal for any use from a single individual up to use in an office or a department in a larger company. These high capacity production paper shredders are designed for continous duty operation. They are ideal for larger companies or where large volumes of paper need to be destroyed. Industrial shredders are designed for large shredding throughput and continuous shredding operations. 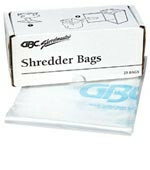 They are suitable for a centralized shredding operation in a large company office or industrial location. High security shredders cut your documents into tiny chips. They are ideal for government use, as well as any business that needs the highest security. Specialty shredders shred cardboard, destroy hard drives, solid state drives, CD/DVDs, smart phones, and other specialized tasks.